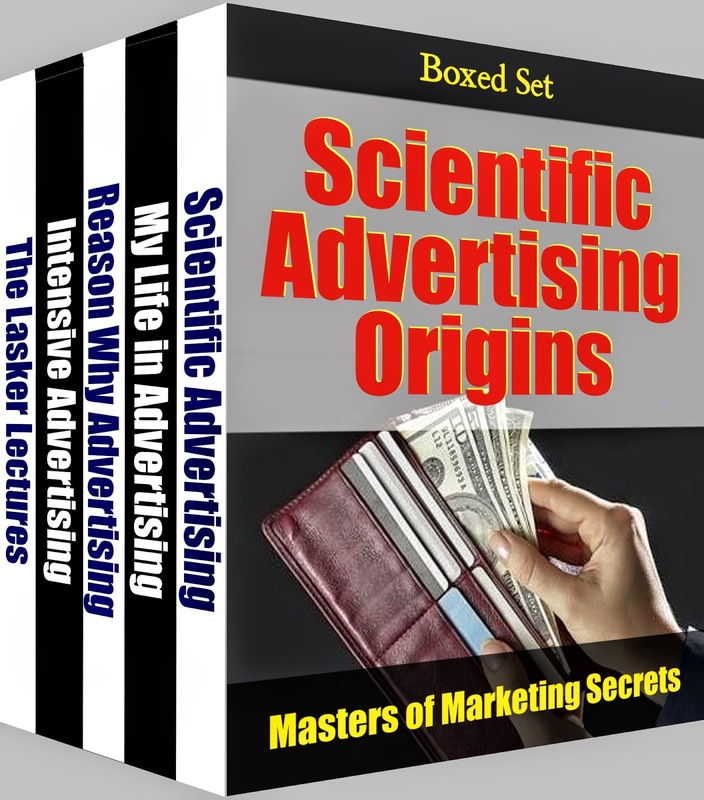 All effective modern marketing can be traced to three authors in one time period. You only find this by studying the greats, and who they studied, and then who THEY studied. None of the modern marketing “guru's” talk about this period in history, but all their work stems from the discoveries made during this time. Following these footsteps, you can eventually find the real basics which make all marketing work. That is exactly how these books were uncovered. While each separately tells pieces of the puzzle, together they tell the evolution of advertising as it exists today. All the advances made by others since can be directly traced to the breakthroughs made during this time. These five books each tell their own piece to the puzzle. Beyond that – when you study the ads these three created, and internalize them – you'll have learned everything they know. Then, when studying the later “big names” in the field, it will make whatever these newer "guru's" say open up new doors (and sales) for you. Way open.